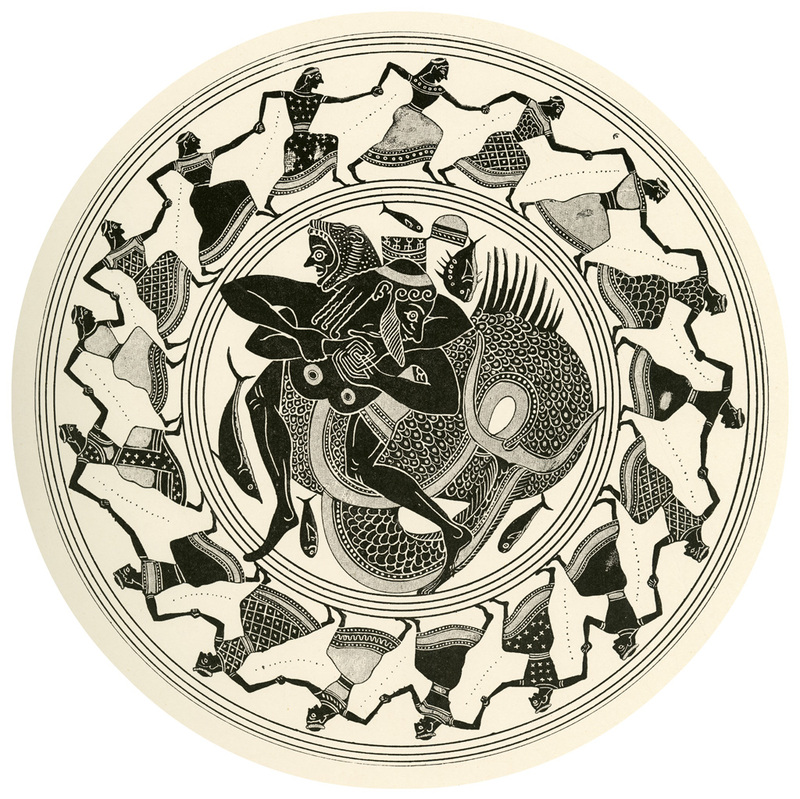 Illustration by Dugald Sutherland MacColl (British draftsman, 1859-1948) of a tondo from an Attic Black-Figure Kylix (ca. 550 BCE) discovered at Corneto. Published in Harrison, Jane Ellen and D.S. MacColl’s “Greek vase paintings; a selection of examples, with preface, introduction and descriptions.” London: T.F. Unwin, 1894. The image depicts maidens holding hands and dancing in a circle. In the center is depicted Herakles wrestling with Nereus, the Old Man of the Sea.